If this entry looks odd it is because I'm writing it using the blogger android app on my phone instead of on a real computer. 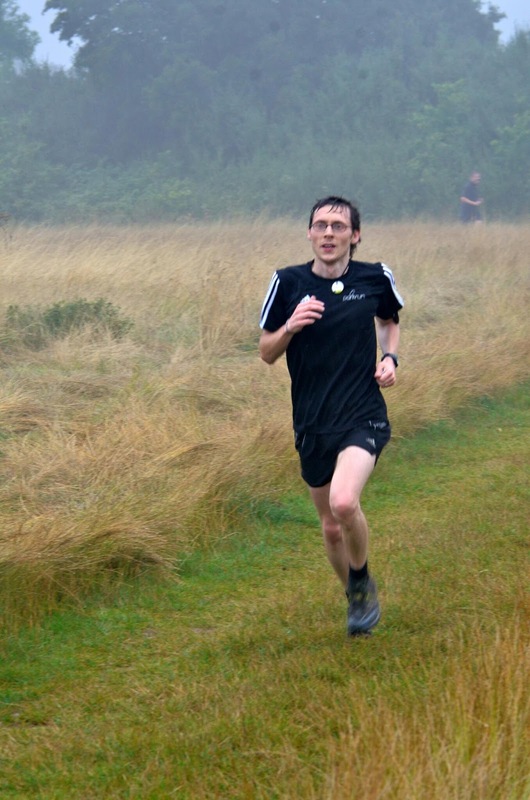 Up until the Thursday, I was set on finally making it to Bromley parkrun. But then Riddlesdown's event director tweeted a teasing photo of the label of a package she had just recieved and was extremely similar to this.. Yes! My 100 club kit had arrived. 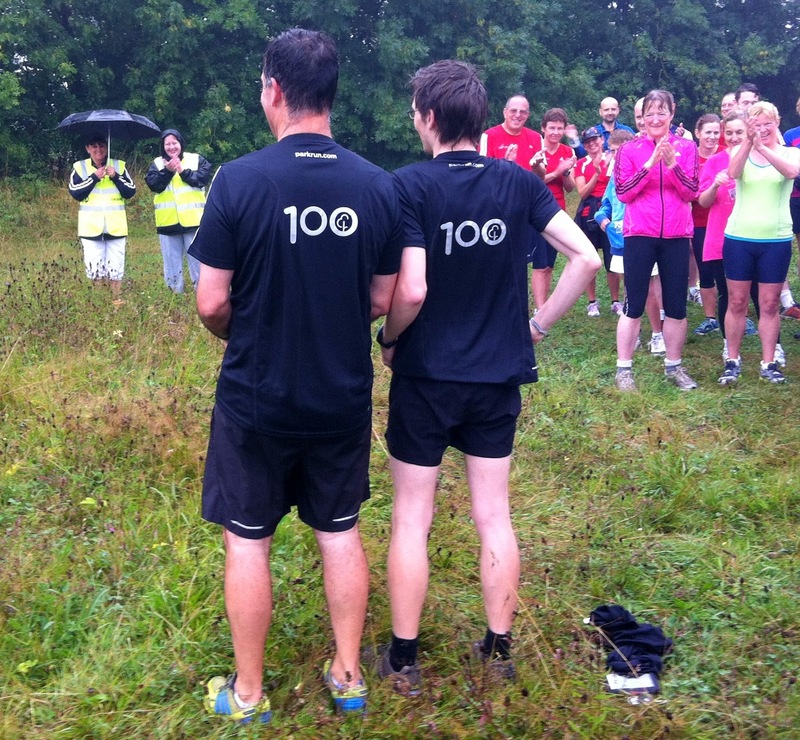 So on the drizzly August bank holiday weekend I drove down to Riddlesdown for the special presentation. Paul Groves also recieved his 100 kit on the same day. 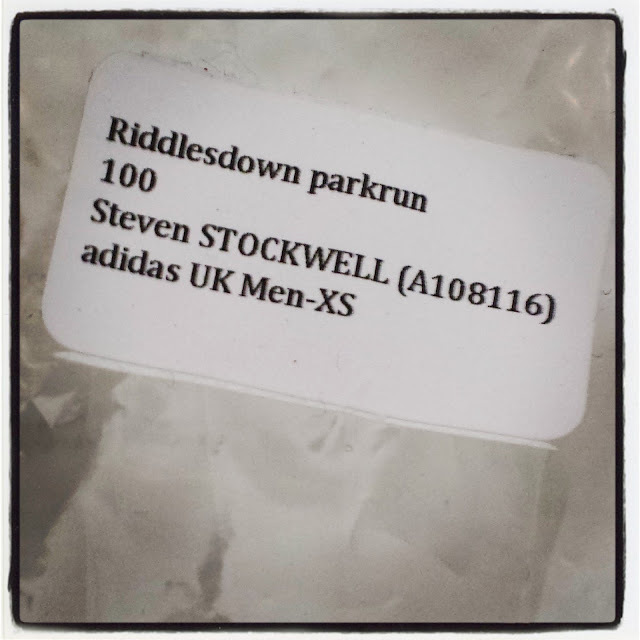 An interesting fact - I was the first person to run 50 runs at Riddlesdown and Paul is getting very close to being the first to run 100. So after the excitement it was time to run. I was going to go for a proper time trial effort, but I ended up chatting to a few other runners during the first lap (as I always do at Riddlesdown) so I scrapped that idea. 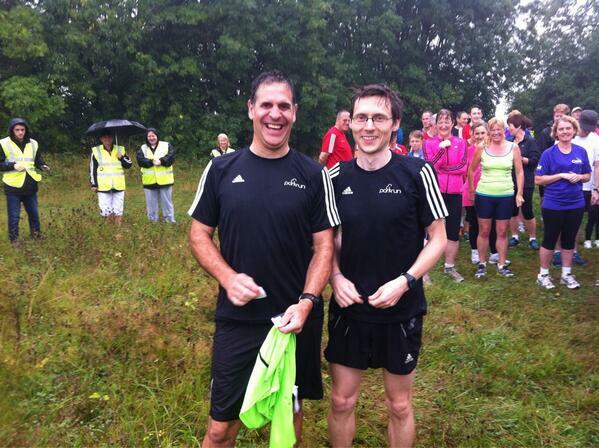 Time trial or not, it's always great to be amongst the familiar faces at my parkrun home and I do miss not being there every week. However, goals have been set and the tour must continue! 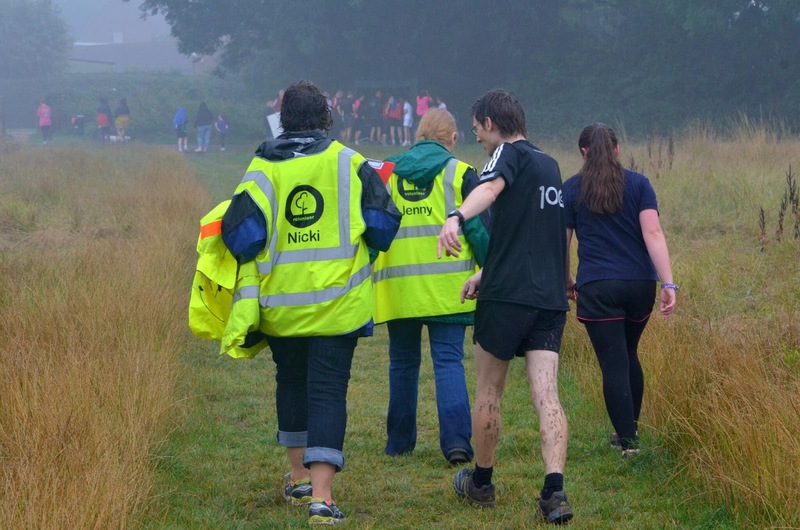 Lastly I'd like to add a huge thank you to Nicki and the rest of the Riddlesdown crew for making the last two-and-a-bit years worth of parkrunning such an amazing experience.